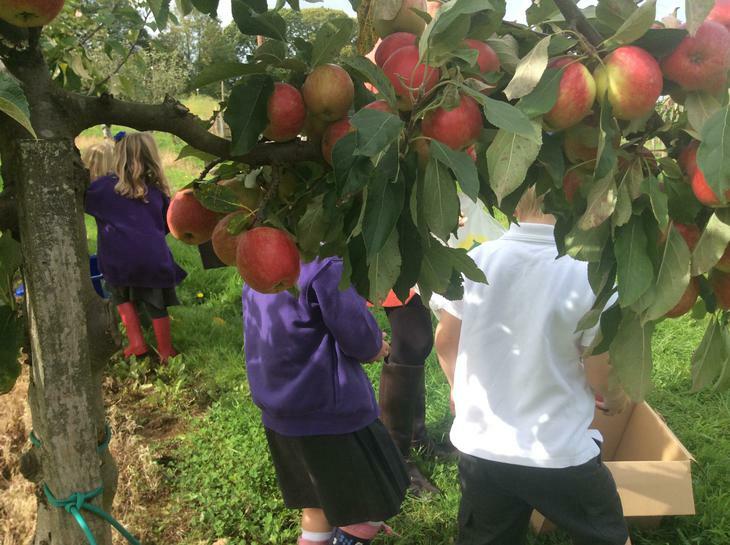 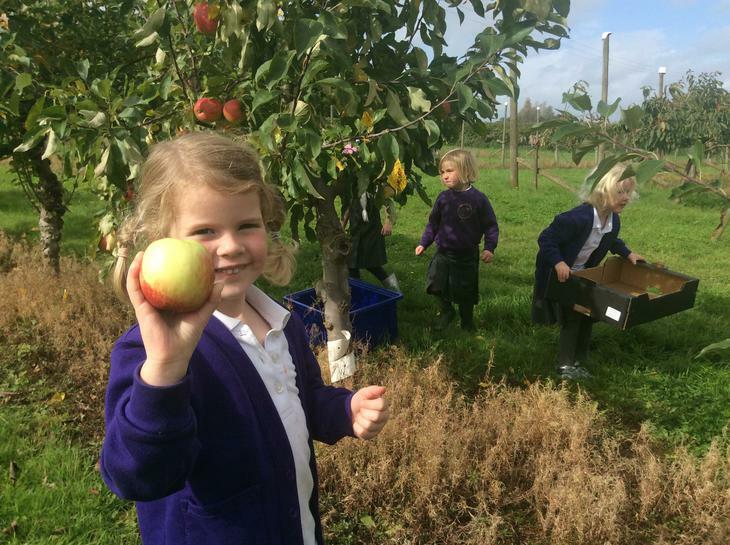 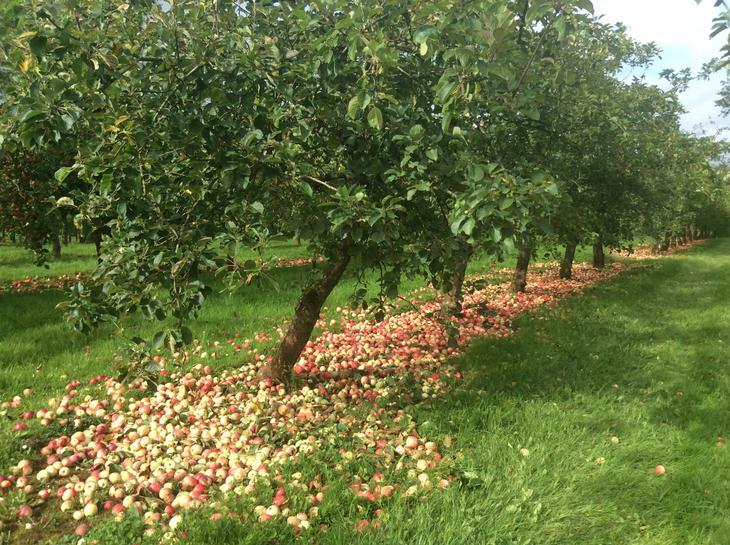 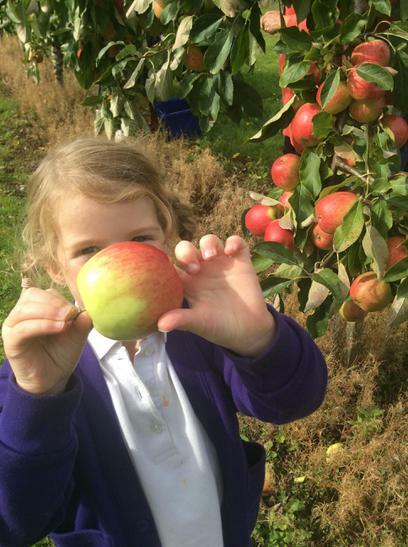 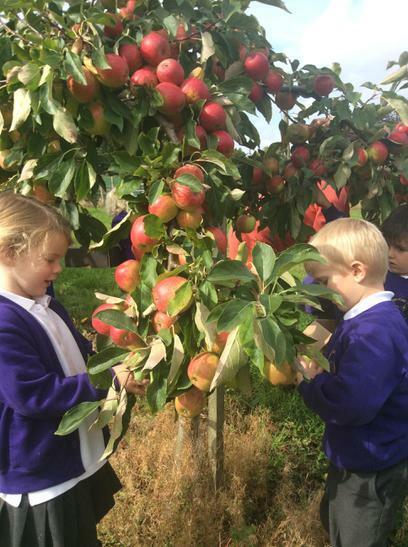 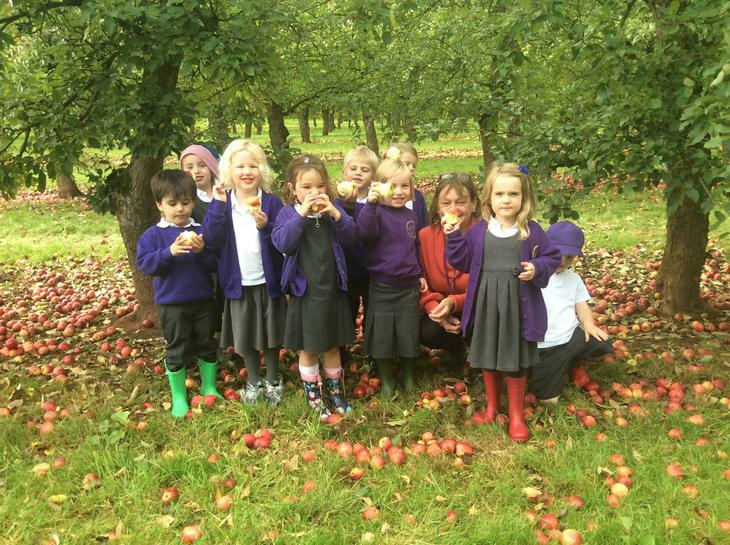 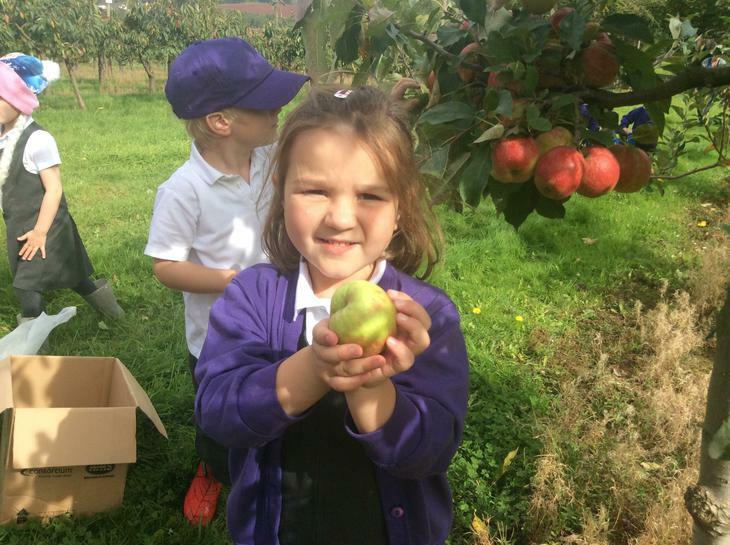 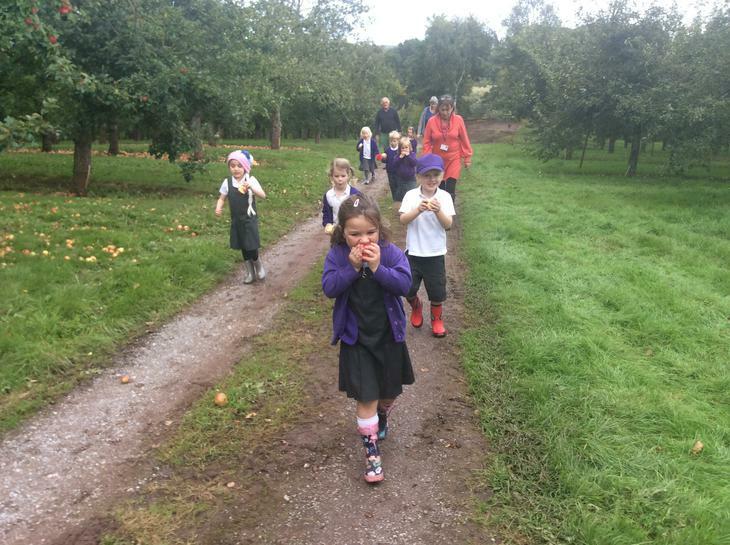 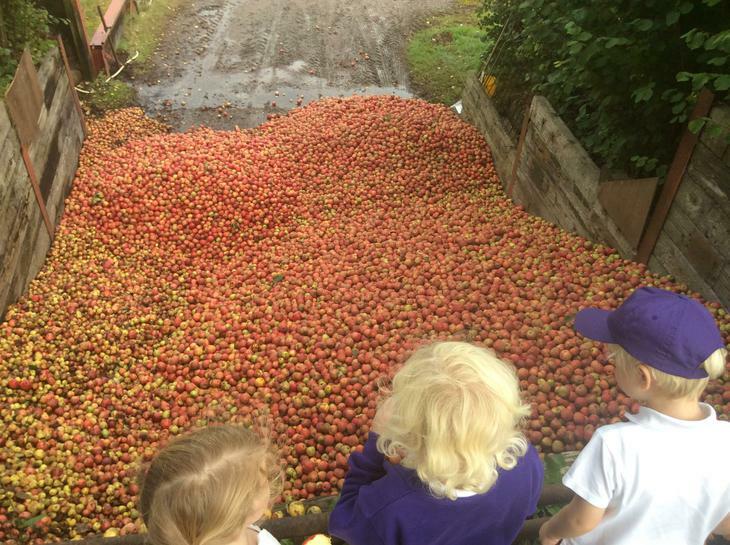 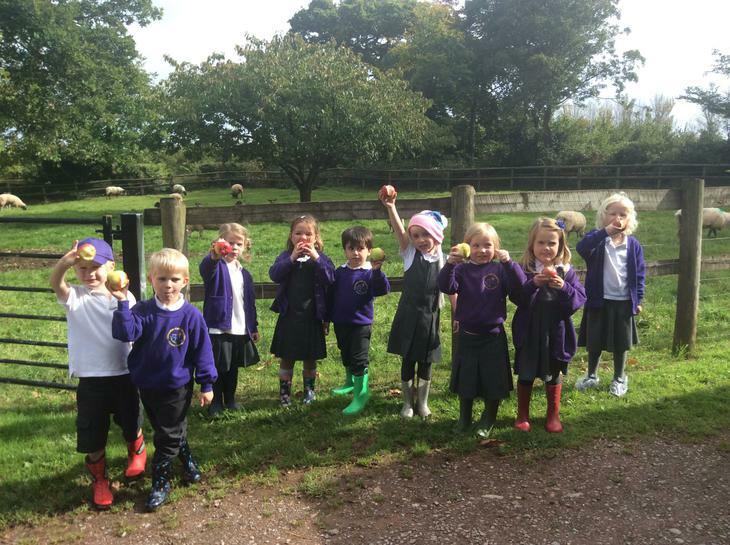 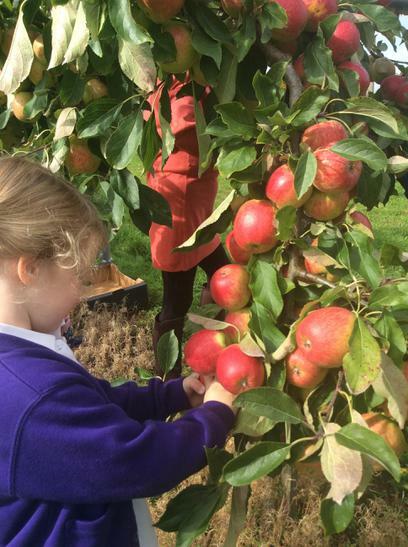 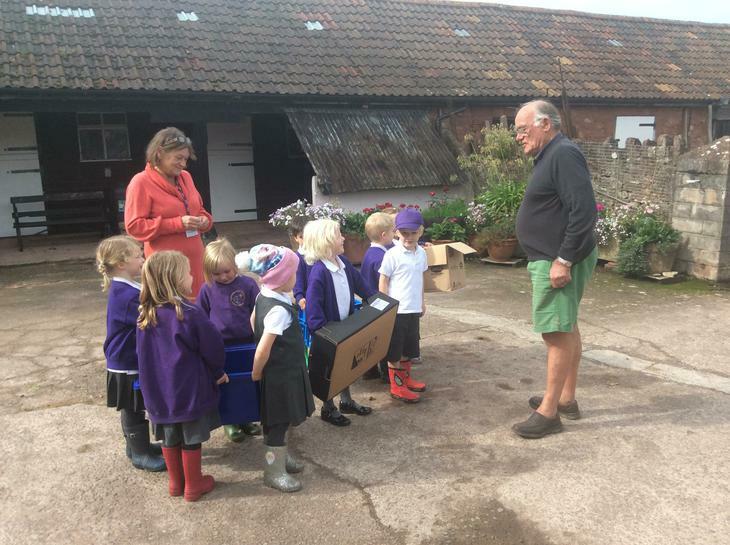 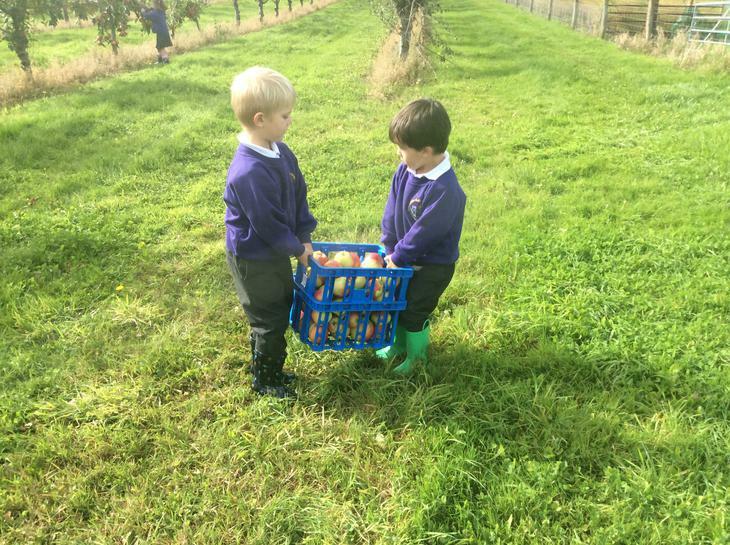 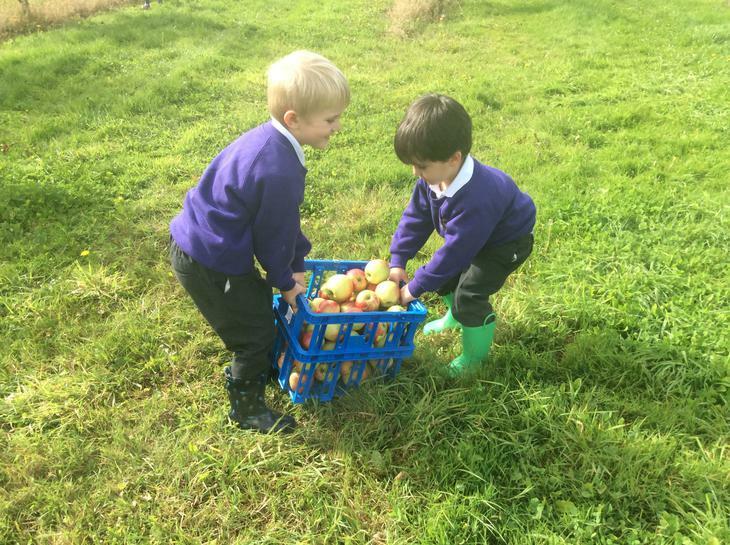 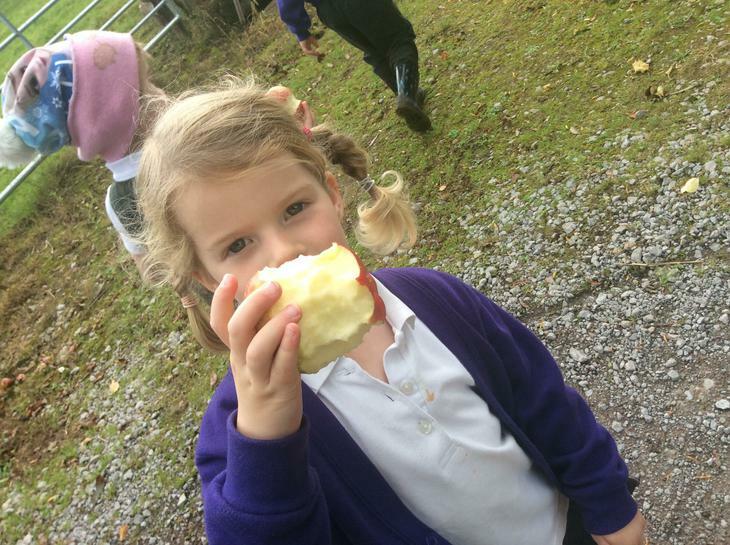 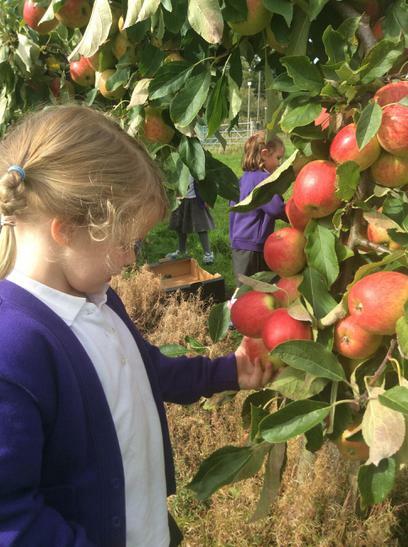 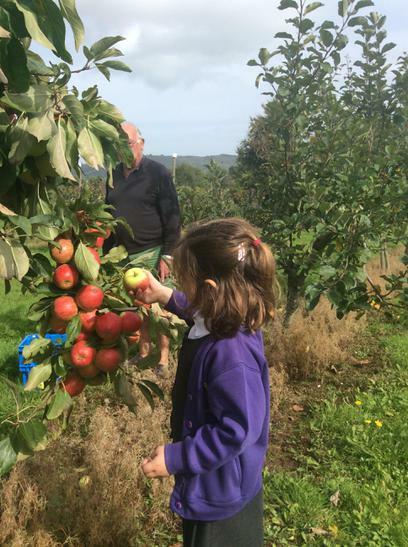 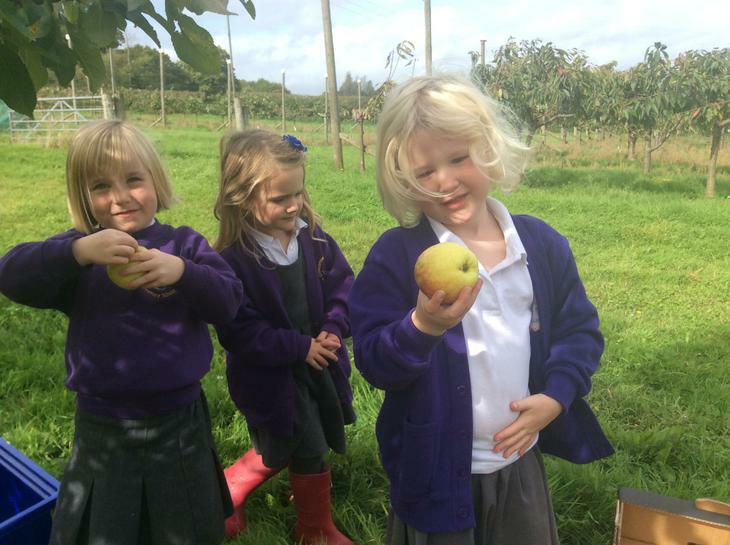 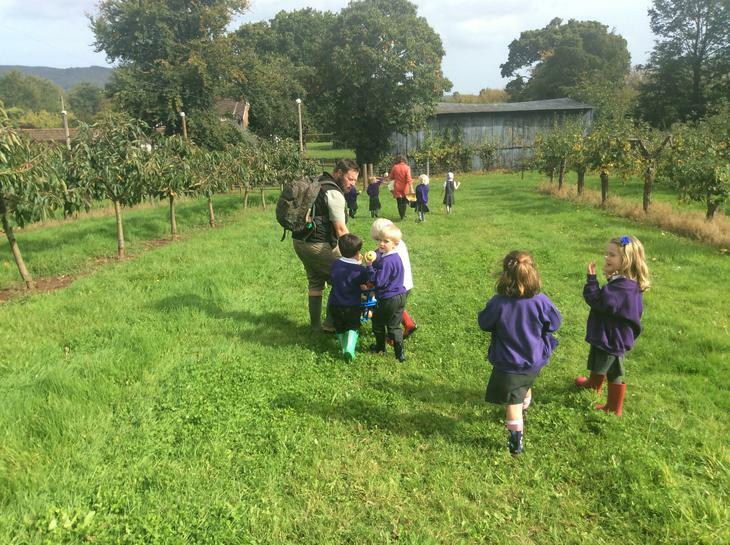 Today, our adventurous reception children took the minibus to Pixford Orchard to pick apples for the school. 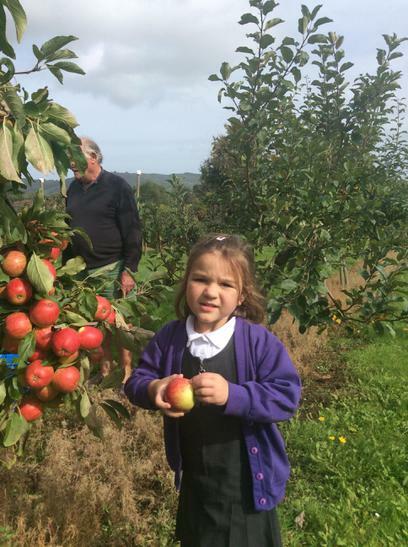 Mr Nash, who owns and planted every tree, loves sharing his apples with us and we try to visit him every year? 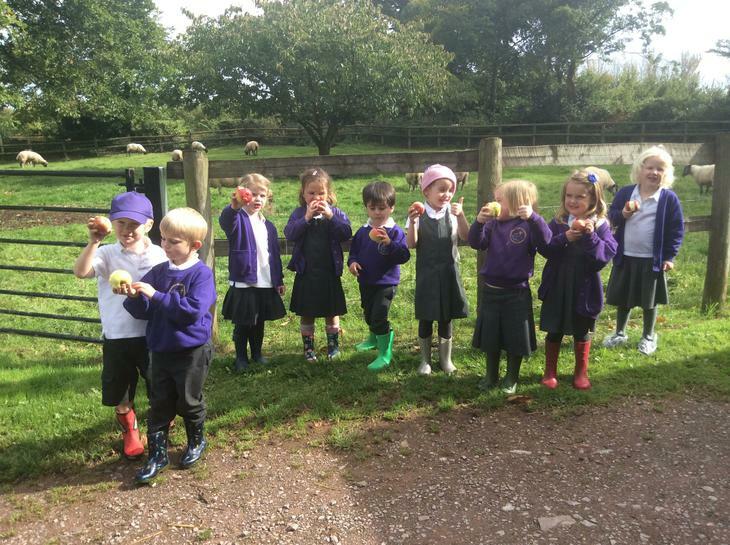 The children loved picking the juicy red Falstaff apples off the trees. 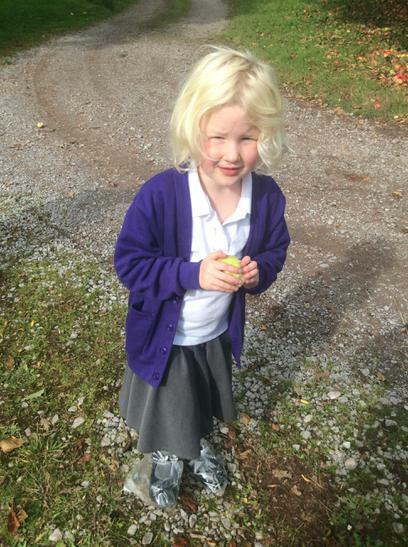 Sadie said that she liked everything about the trip and she loved singing the apple song under the trees.